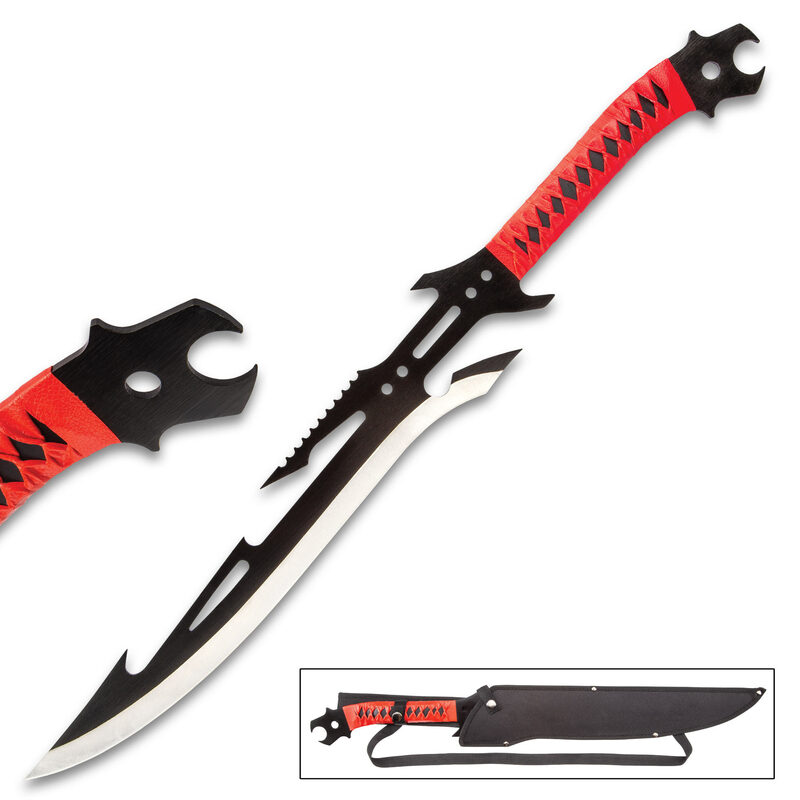 Crimson Provoker Fantasy Sword With Sheath - Stainless Steel Construction, Non-Reflective Coating, Cord-Wrapped Handle - Length 27 1/4" | BUDK.com - Knives & Swords At The Lowest Prices! The Crimson Provoker Fantasy Sword will make you a legend in your own right when you use and display it! 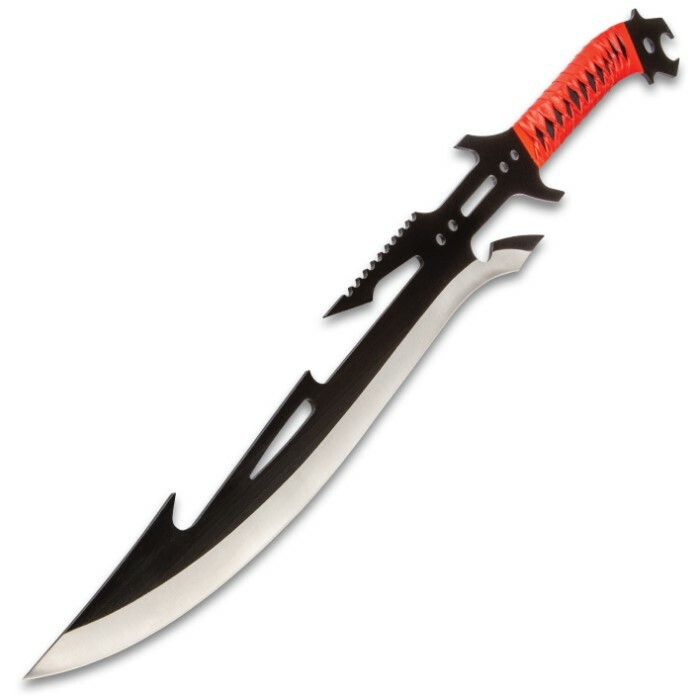 No other fantasy sword has the sheer guts of design and wealth of performance that you truly deserve. It has a solid, stainless steel construction with a black non-reflective coating and an unconventional, formidable profile. 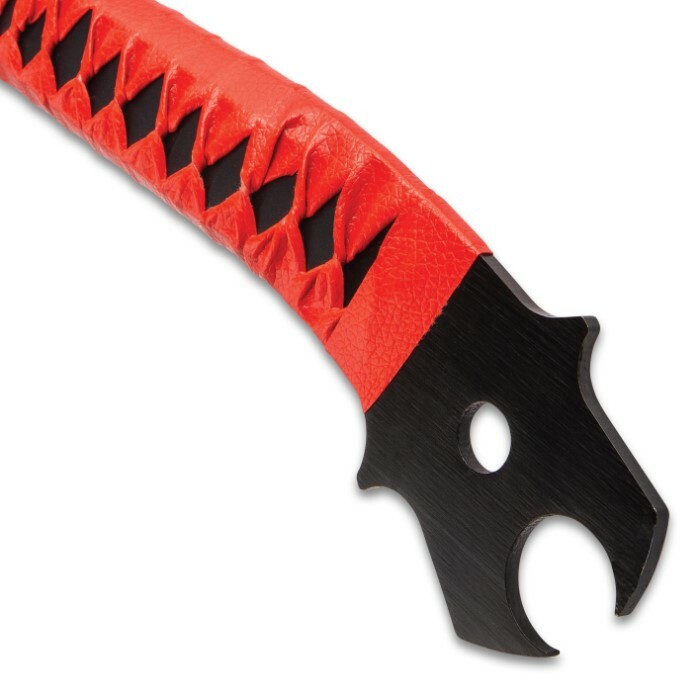 The 17” blade is razor sharp with a satin finish and features a uniquely designed spine, which includes saw teeth and cut-outs. The handle is traditionally wrapped in red faux leather and features a finger choil, a lanyard hole and a wickedly cut-out pommel. 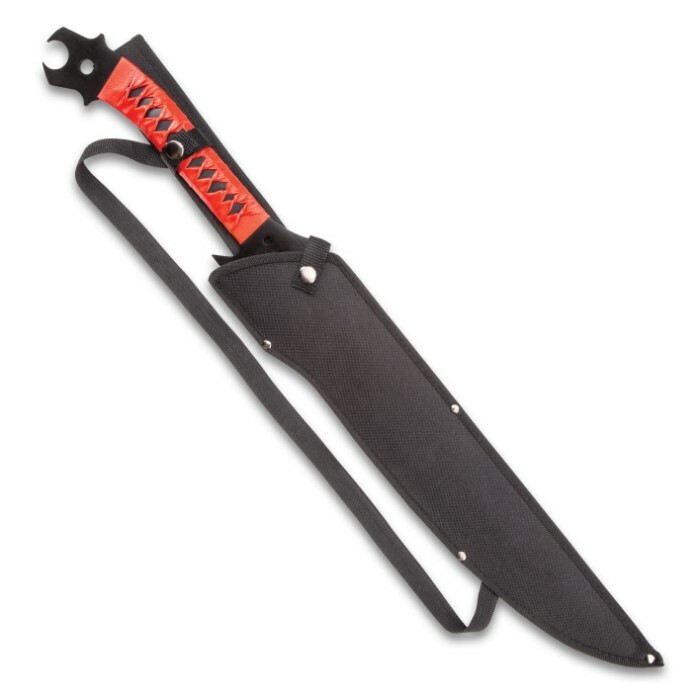 The fantasy sword is 27 1/4” in overall length and comes housed in a sturdy nylon belt sheath with an adjustable shoulder strap.